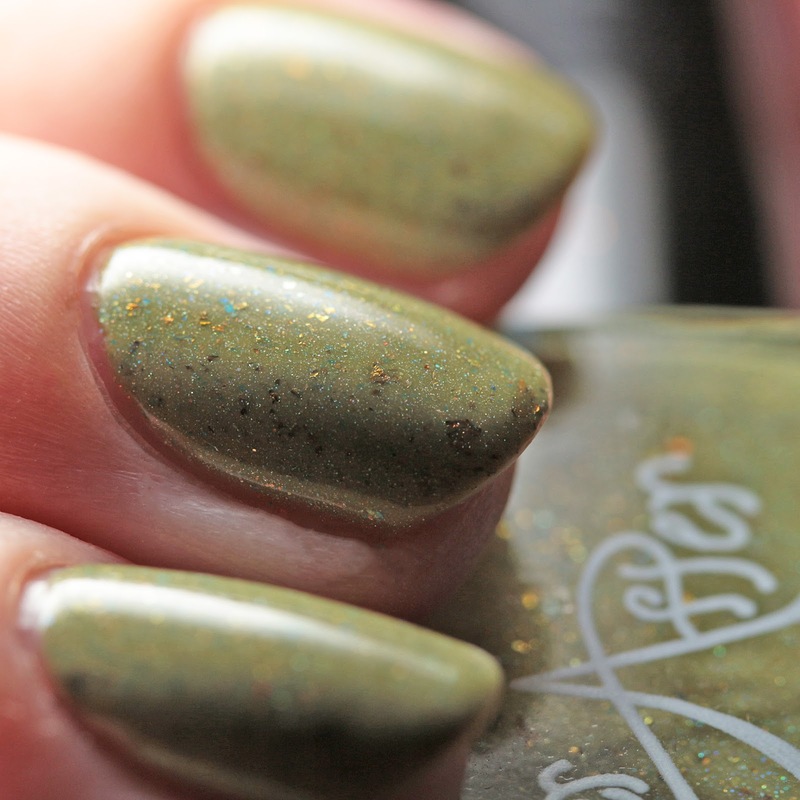 I still have loads of content to share with you but am going to pause for a bit after this post because POLISH CON! I leave on Thursday and the event is Saturday. I will be driving over 500 miles each way so I hope my car holds up as it will be needed to literally haul polish home, haha. 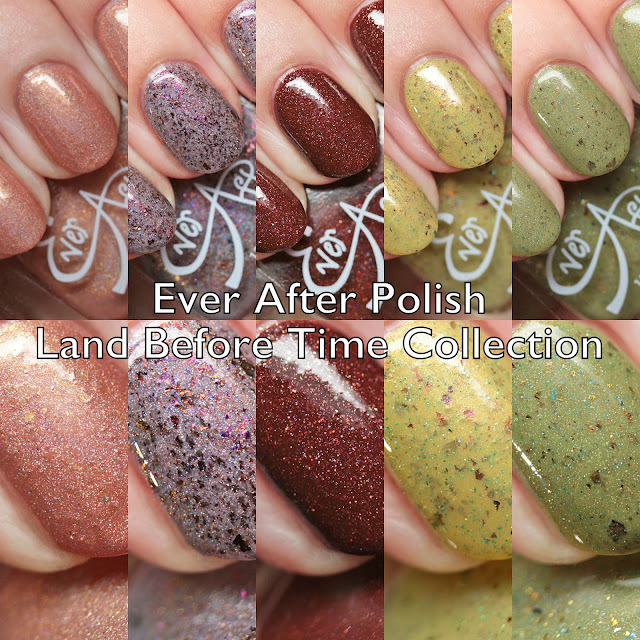 In the meantime, I have Ever After Polish's Land Before Time Collection to show! This will launch at the event and will be online soon after. 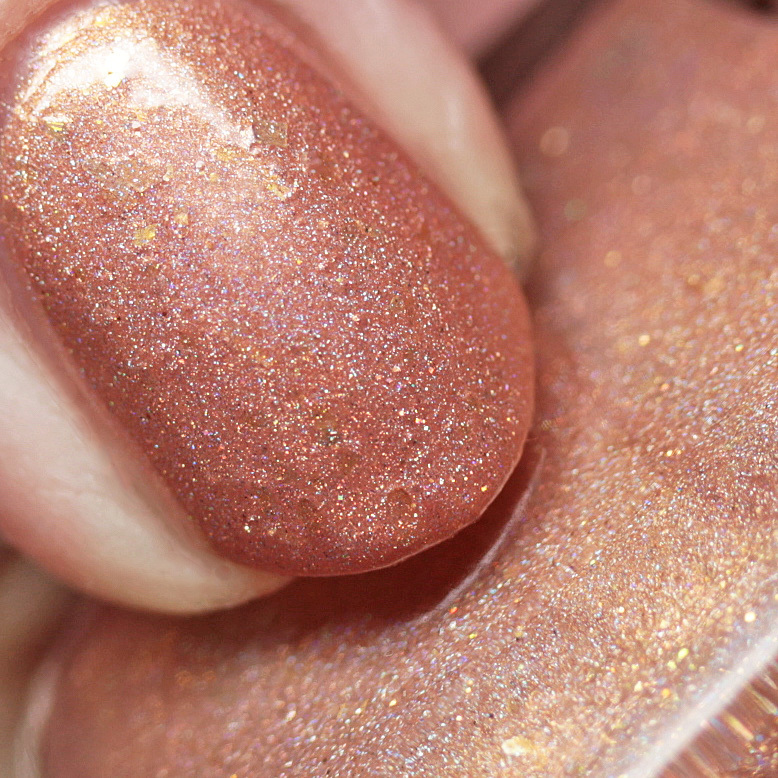 Ever After Polish 3 Horns Don't Play with Longnecks is a pale copper shimmer with linear holo and multichrome iridescent flakes. I wore it in three thin coats. 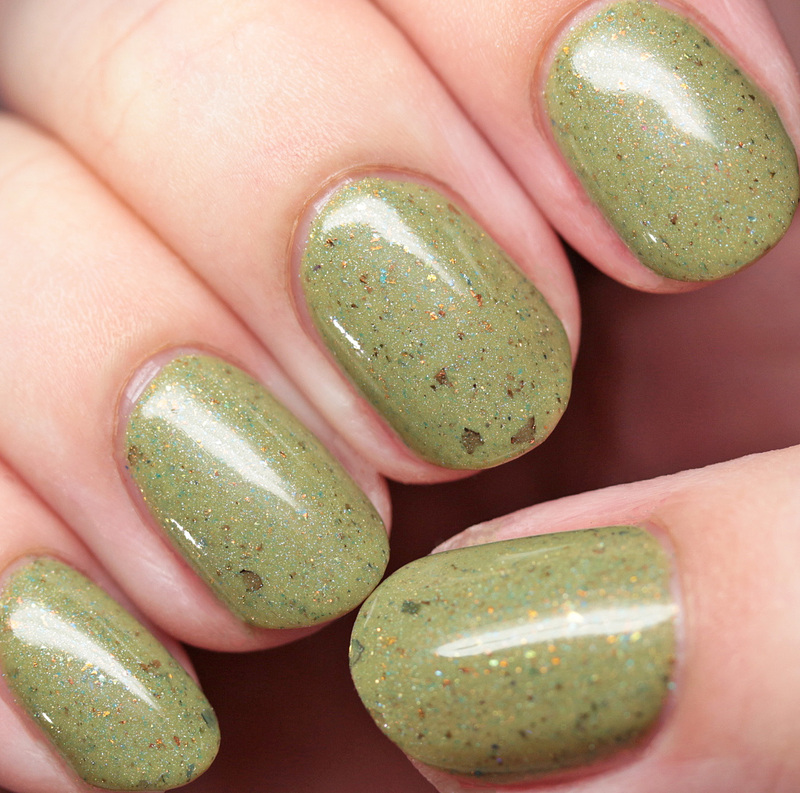 This one shows some texture due to the flakes but smooths out with top coat. 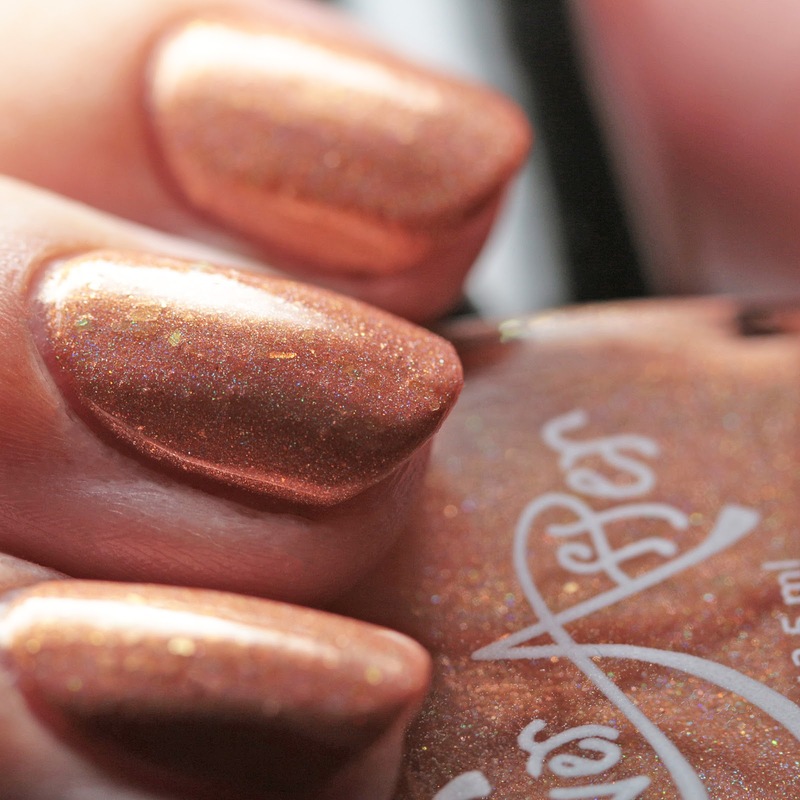 Ever After Polish Dear Sweet Littlefoot is a revamp of one of the most coveted polishes of the brand! 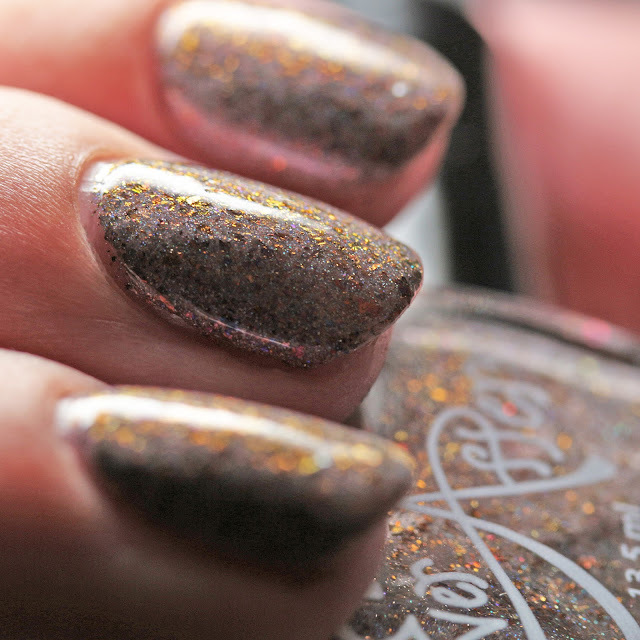 This has multichrome magenta-to-green flakes and scattered holo shimmer in a mauve-gray base. I wore it in three thin coats, though two will do. 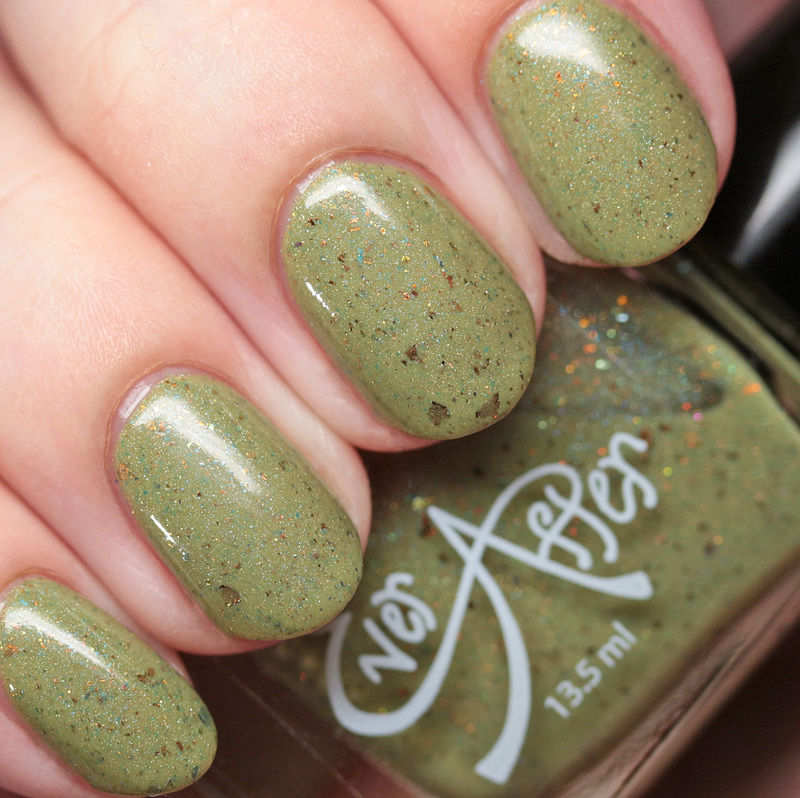 It is absolute perfection in terms of formula and lives up to the hype. This version is ever so slightly revamped from the original. 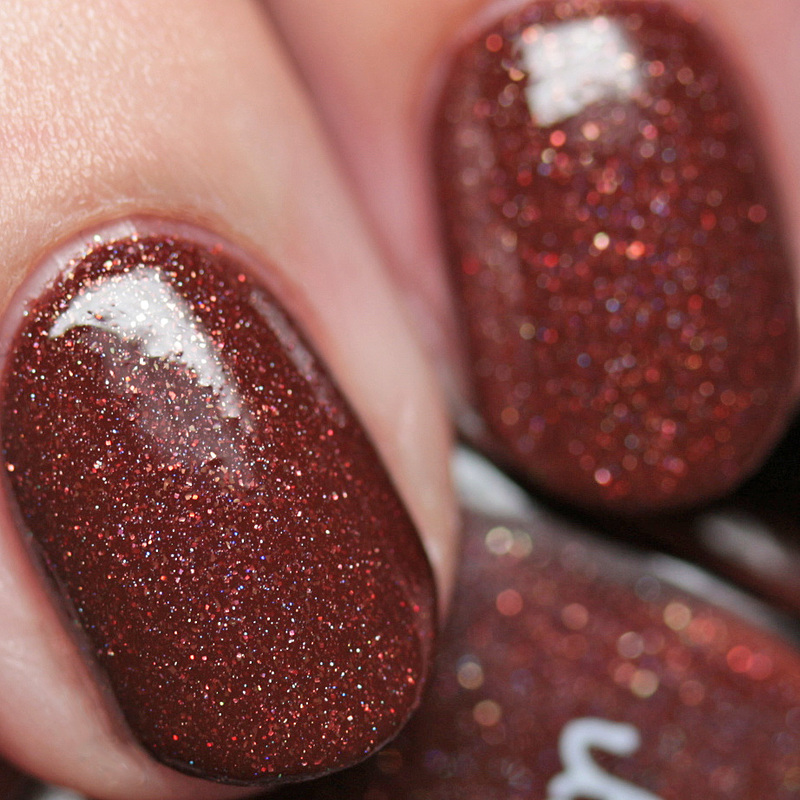 Ever After Polish I Flying is an auburn with scattered holo and copper and red microglitters. 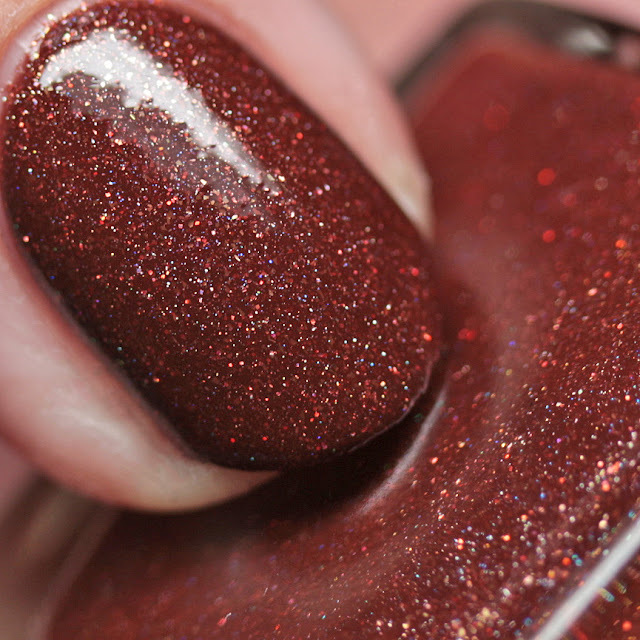 It is shown here in three thin coats, but two are fine. 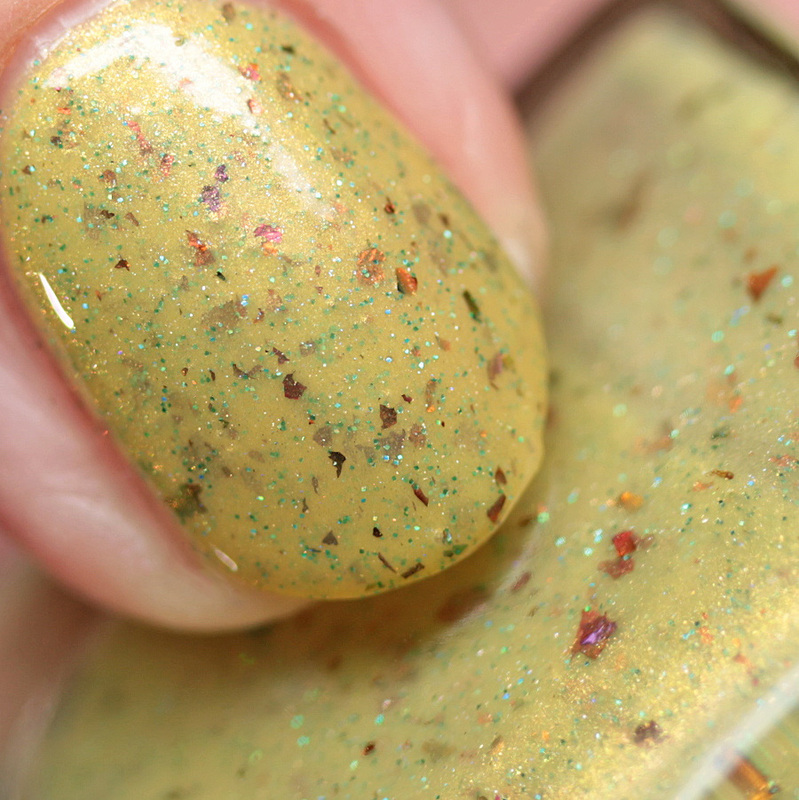 It has a little bit of texture due to the glitters but smooths out with top coat. Great formula. 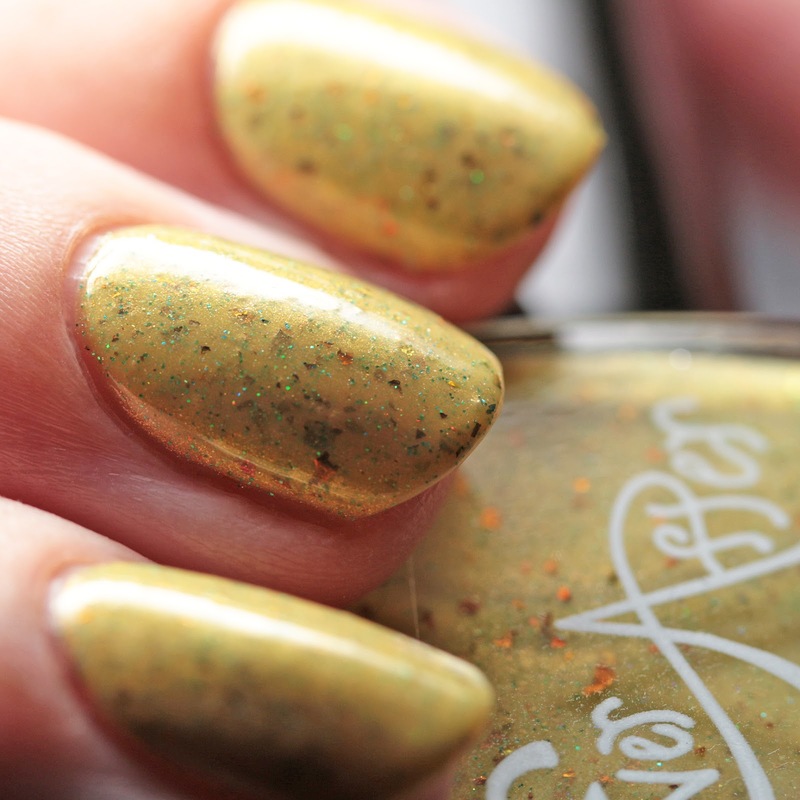 Ever After Polish We Will Call Him Spike is an arylide yellow shimmer with red-to-gold multichrome flakes and green microglitters. 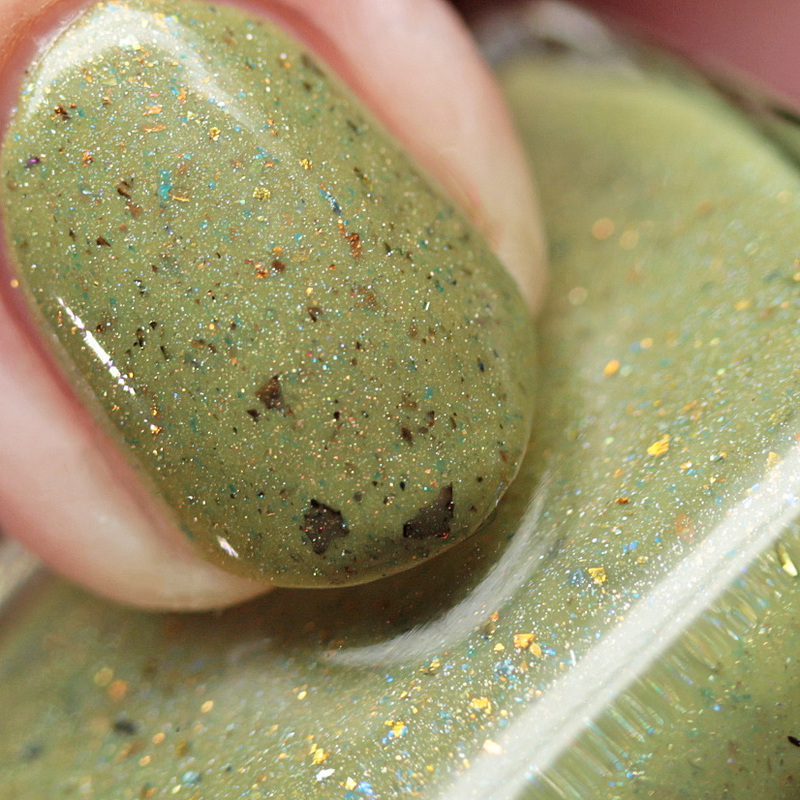 This is on the sheer side and I wore it with four thin coats, but three may do. Nice, smooth formula and not much texture. Ever After Polish Yup Yup Yup is a khaki green with scattered holo shimmer, copper-to-green multichrome flakes, and blue microflakes. 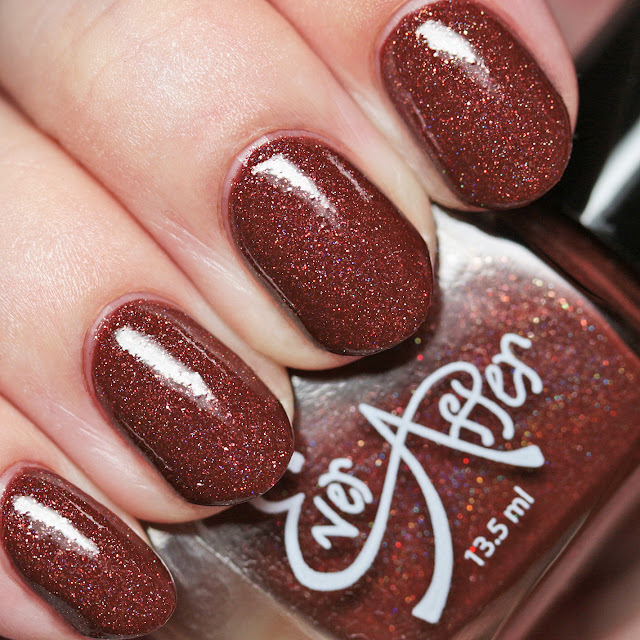 Perfect formula that covers in two or three thin coats. Ever After Polish's Land Before Time Collection will debut on Saturday, September 23 at Polish Con in Chicago and online afterward. If you are coming to the event, please say hi! I will be running around taking pictures and shopping my brains out. Ever After Polish is made by friends Rachel and Miranda in Arizona and New York. Their new line has something for lovers of all different finishes, with quick dry times and easy formulas.